Item # 312745 Stash Points: 3,995 (?) This is the number of points you get in The Zumiez Stash for purchasing this item. Stash points are redeemable for exclusive rewards only available to Zumiez Stash members. To redeem your points check out the rewards catalog on thestash.zumiez.com. 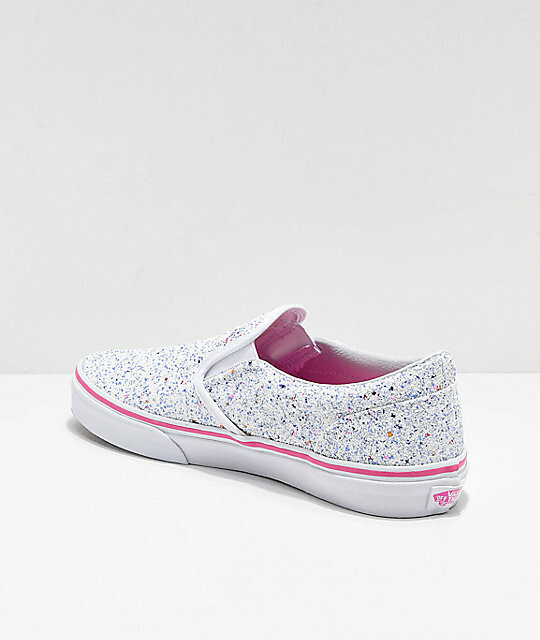 Make your daily looks sparkle with the Vans Slip-On Glitter Stars White Skate Shoes. 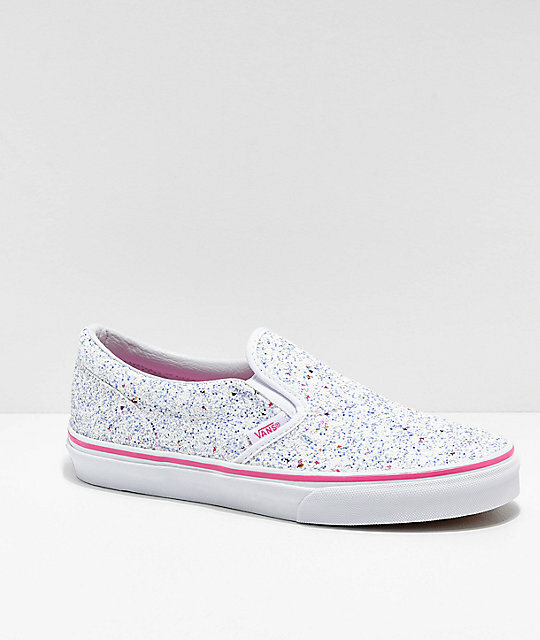 This wild rendition of one of Vans' most classic models features an allover silver sparkle and pink star coating for a look that will be the focal point of any outfit. 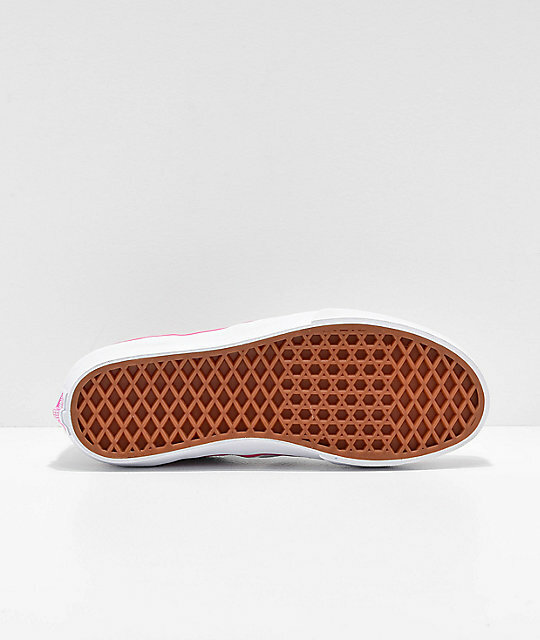 A cushioned footbed and padded leather collar provide tons of comfort, and Vans classic waffle tread keeps true to these shoes' roots, while providing tons of traction as well. 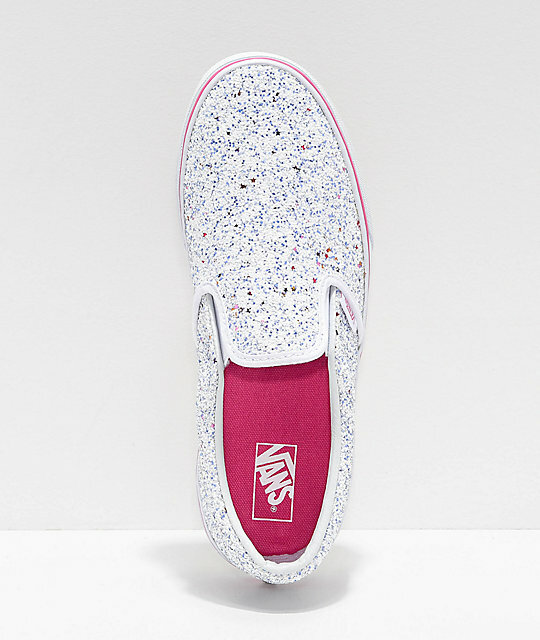 Slip-On Glitter Stars White Skate Shoes from Vans. Allover glitter laden canvas construction. Vans cushioned footbed for comfort with custom printed graphic.